Gas leaks can happen at any time, and it’s important we take them seriously. 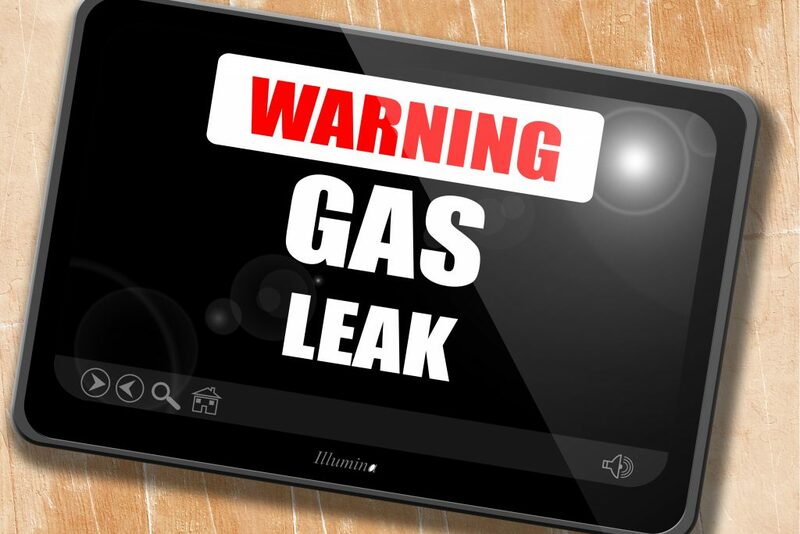 Many times, when someone suspects they have a gas leak, they put off having it repaired because it’s a common misconception that they’re not a big deal. Well, this couldn’t be further from the truth. Gas leaks can be harmful and should be taken seriously. Here are five important reasons why you should get help right away should you have a gas leak in your home. Gas leaks can be harmful to your health and even deadly. Known as the silent killer, carbon monoxide is a tasteless, odorless, and invisible gas that can actually kill you. If you feel dizzy, have nausea or a headache, or are having trouble breathing without any other warning signs, it may be a carbon monoxide leak. When you have a natural gas leak, it may smell like rotten eggs. While natural gas doesn’t naturally smell like that, this smell is added so you know you have a leak. If you start to smell this, don’t ignore. It’s best to find another place to stay while the leak is taken care of. If the gas leak is bad enough, a small spark may be enough to set your entire house up in flames. This can cause severe damage, injury, or both. If you light a match, turn on the stove, or do anything else that could cause a spark, your home could go up in flames. Because of this, if you smell rotten eggs in your home, it’s important to take action right away. Even if a fire doesn’t start, when too much natural gas is inhaled, it can cause asphyxia, or suffocation. This, of course, can be harmful and even deadly. It’s another reason why you should get the leak handled right away. If you smell gas, be sure to stay away from where you believe the source to be and call a certified plumber right away to help you. When you suspect there is a gas leak, let’s say in the kitchen, it’s dangerous to adjust the thermostat, flip a light switch, and even use the doorbell. With all of these dangers around you, it’s important to not ignore a leak. If you suspect you have a gas leak, call Rocky’s Plumbing today! We’re happy to help! Do You Know What’s in Your Pipes?